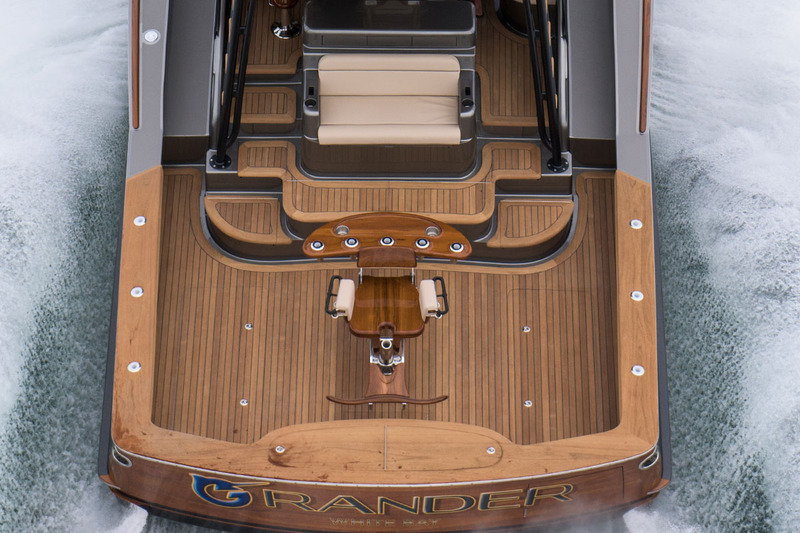 Demonstrating yet again what “truly custom” boat building is all about, custom hull 61 features some outright bold design choices, including the dark paint and black tower hardware. The result is an aggressively beautiful tactical vehicle that attacks offshore fishing’s status quo. The cockpit is arranged with a central mezzanine seat that doubles as a large ice maker and cooler, with two freezers accessible in the steps below. 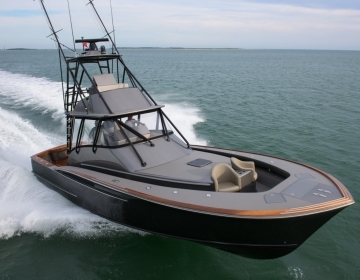 Two huge in-deck fish boxes straddle the Release fighting chair and transom livewell with tuna tubes. No space is wasted throughout, with the mezzanine steps and seating hosting multiple flush-face tackle drawers and dry storage. 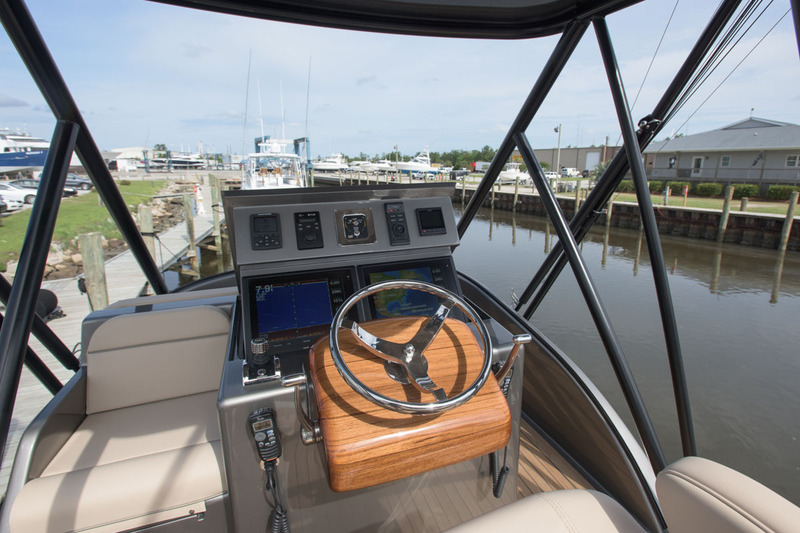 The primary helm features pilot and co-pilot chairs with an artfully designed electronics suite with the latest from Cat, Garmin, FLIR, iCom and Fusion. To starboard is convertible bench seating concealing rod storage, while additional seating, dry storage and an in-deck engine room hatch occupy the space to port forward of the helm. Accessed by teak-covered steps on both sides of the tower, the upper helm area is defined by another teak sole contrasting the dark metallic painted surfaces. 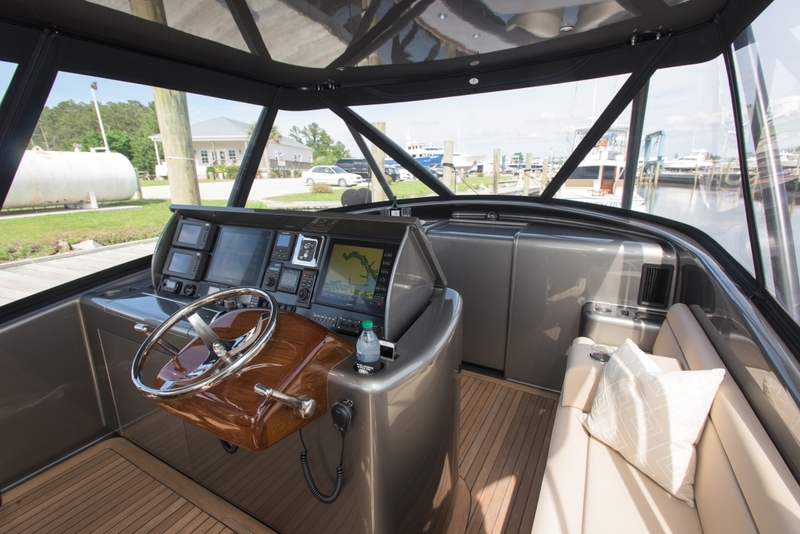 Featuring a single pilot chair behind a full pop-up electronics display, the bridge boasts an aft-facing seat as well as larger bench seating and storage forward of the helm. 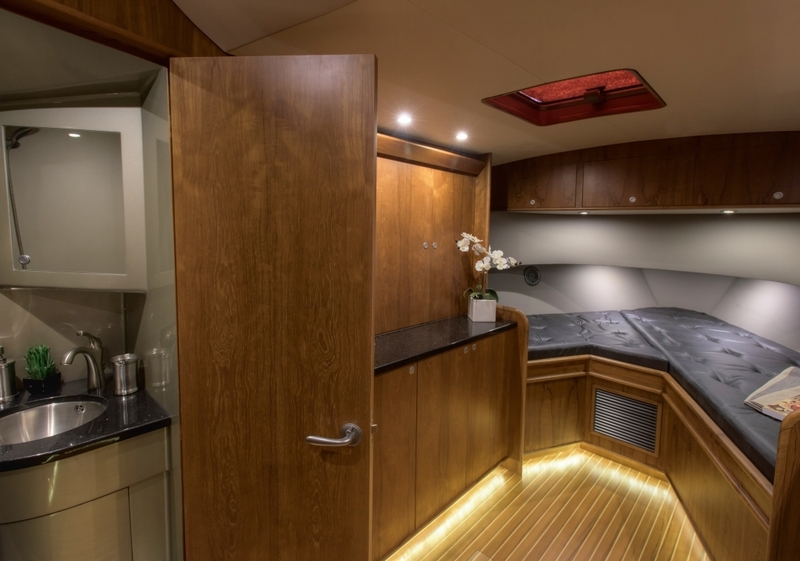 The clean and modern design flows below as the sliding companionway door reveals another striking mix of metallic and wood veneered surfaces. A compact, but capable galley occupies the starboard side which includes a wash basin, microwave convection oven, over/under refrigerator/freezer and recessed storage. 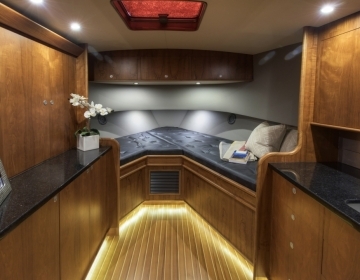 A two person v-berth wraps around the forward cabin underneath a central overhead hatch. To port is an extensive tackle storage station, a combination rod and wet hanging locker, and a well-appointed head finished in Stardust Silver throughout. Powered by twin Caterpillar C18 engines with ACERT technology, the boat is every bit as fast as she looks, and economic to boot. Booking along at 40 knots while using around 47 gph, the Grander tops out at 45 knots with a fuel burn of just 59 gph. 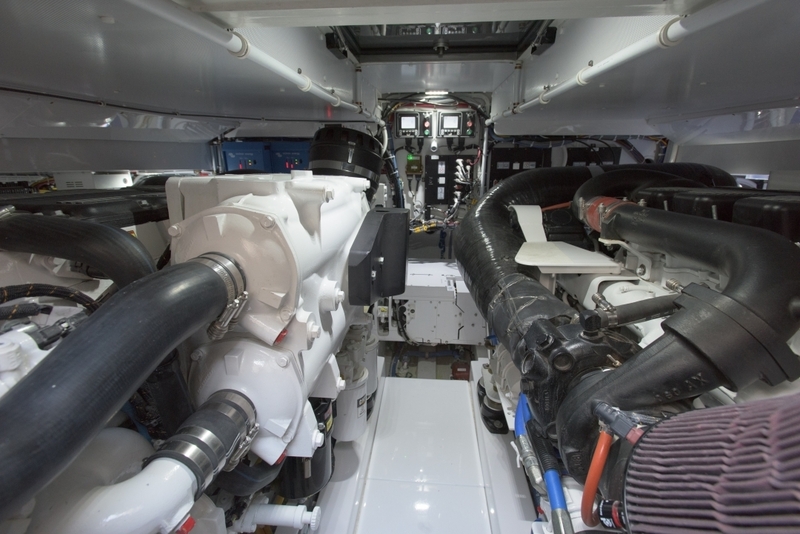 The boat’s mechanical systems also include a 21.5 kW Cat generator, a generous water maker capacity and a Seakeeper gyro stabilizer. 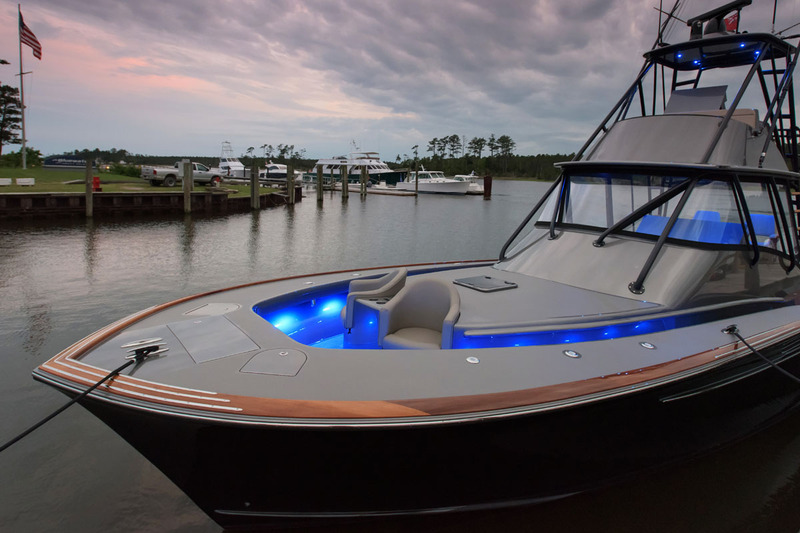 Topped off with a custom satellite and radar dome and her all-black fittings and rigging, Grander’s dark demeanor is lit in an impressive spectrum of color at night thanks to an extensive Lumishore LED lighting installation throughout the hardtop, gunwales and transom. Another innovative Jarrett Bay calling card from her larger sisterships made its way onto the 46′ – the Jarrett Bay signature bucket chairs integrated into the forward cabin house. to wtat I want for my next boat. I am interested to know if I can discuss with you to possibly build a JB 43WA with outboard power. You will need a dump truck full of benjis, maybe 2. What is the cost for this boat? We’ll be in touch via email with more information! Nice boat!! Is there a 43′ version?! 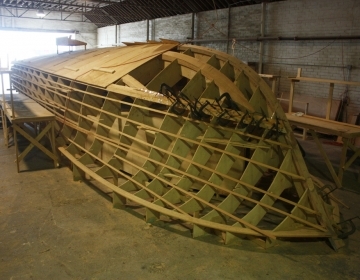 Hi Jay, All of our boats are one-of-a-kind custom builds. Yes, we have built several express fishermen in the 41-44 range over the years, and you can browse them on our “fleet” page (link below). Thanks for your interest in Jarrett Bay and please let us know if you have any other questions! Me and my father are scouting for a nice boat with walkaround. Whats the price on this one? Thanks for your interest, you should receive more information from a representative via email. JB hit another home run with this baby. I would expect that as shown, you’re looking at about 2.3 simolians. And, very well worth every penny, I might add. Great work by the design crew and shipwrights!!! Hi, I read that you guys have competitive pricing.So I was wondering how much a 75ft sportfish wood cost. What’s the price on a boat like this? Thank you for your interest – our VP Tate Lawrence will be sending you some more details directly via email. Thanks again! 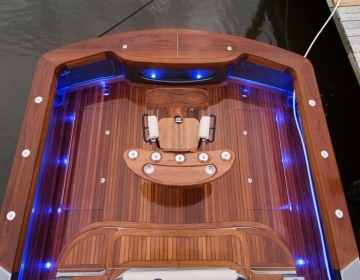 and 2. would i ever be able to order a custom boat just like this? Hi Brendan, our VP of construction will be happy to send you more details/answers to your questions directly via email. Thank you for your interest! i am sorry to say, but my email does not work. is there any other way you can send me this info? an email, phone or mailing address would be best. Can I get the price of this boat?